St Luke’s Church is the Church of England Parish Church for Birchwood and Doddington Park. Whatever your Christian experience, whether it is faith of a few days or many years, just exploring, or not quite sure of your faith just yet, you can be sure of a warm welcome and a place at St Luke’s. 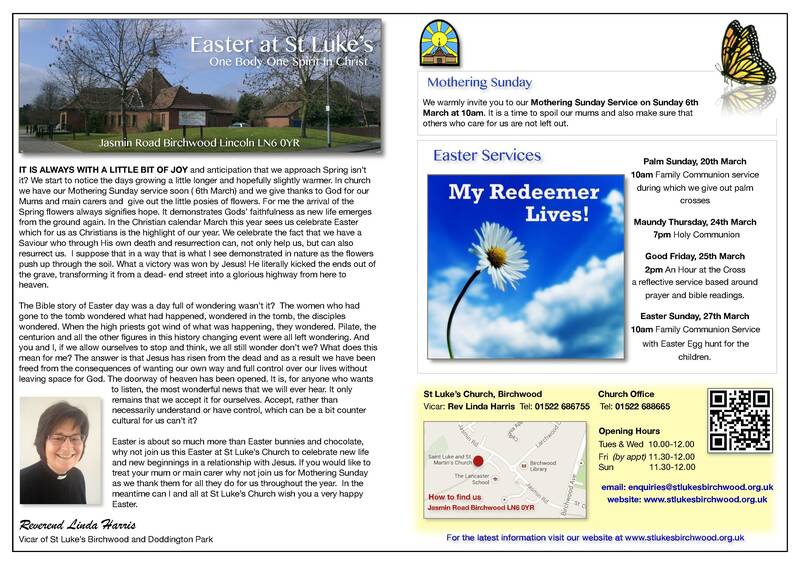 Welcome to St Luke’s website. We hope you’ll be able to find what you’re looking for here. We’ve got details of our main Sunday services, what we believe, and how we worship. It’s also the place where you can find out what goes on at St Luke’s through the week, and our involvement in the wider community.